Large pet food container with airtight lid, castors and integrated scoop. 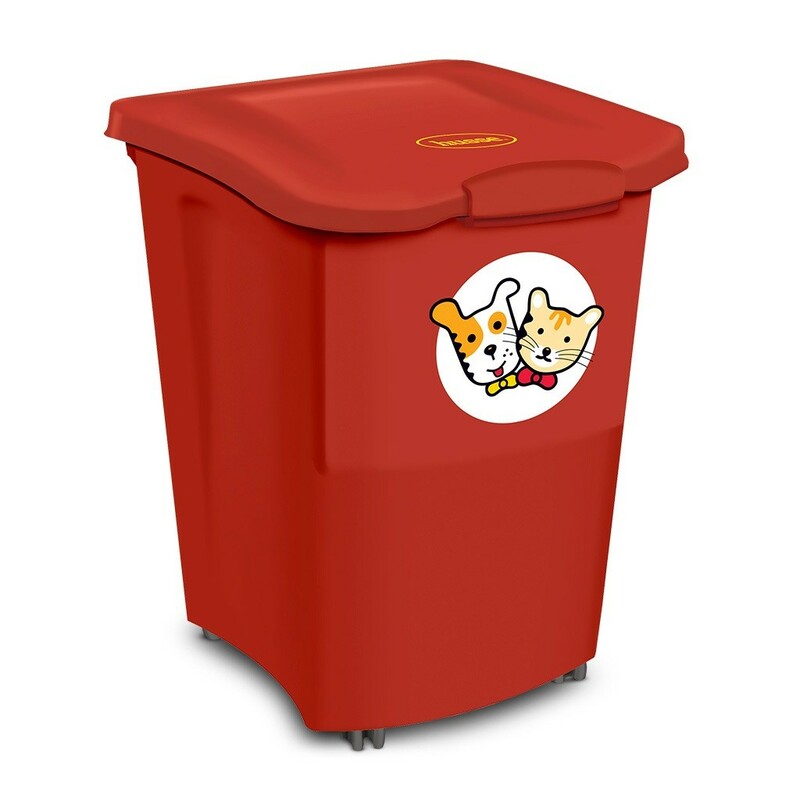 The pet food container is produced of food approved material and has a volume of 38 L, which corresponds to about 15 kg of dry food. The 4 castors make the container stable and easy to move. The sealing in the lid makes the container airtight, so the pet food will stay fresh. The scoop can be easily attached to the inside of the lid.